Today I’m going to share just a little bit about the V front blouse that I included in the spring capsule wardrobe I worked on for the Sew Alongs And Sewing Contests fb group. Me Made May really showed that I was missing some of the Core Colors from my wardrobe, so I immediately started making Simplicity 1430 View B in a red lawn from Fabric Mart and crossed off a long waiting project. This cute number went together pretty easily until I hit the neck band technique. My gut instinct was to apply a bias binding, but I decided to follow the pattern. Uh-Oh. 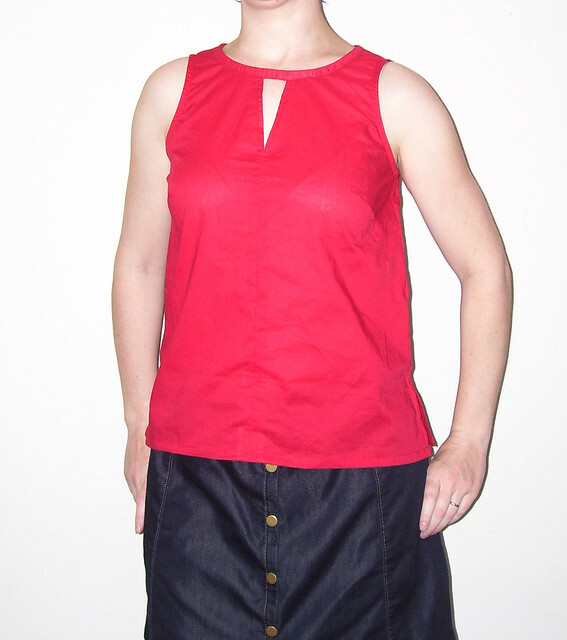 The instructions have you apply a pieced neckband, a neckband facing, and stitch through all the layers. That adds up to seven layers at the shoulder seams. The result, even in a lightweight lawn, was a thick rope-like neckband. I hated this neckband, so I ripped it off and added a 1in facing instead. I’m so much happier with the fit and feel. To keep that cut out look, you could use a bias binding. 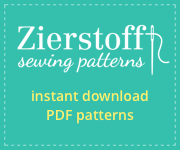 The pattern: Simplicity 1430 View B, size 12. Stupid neckband removed and replaced with a facing, closure at CB eliminated and 1/2in added to hip. The fabric: 100% cotton lawn from Fabric Mart, long sold out. Notes: Choose an easier option for the neck binding and skip the back closure if you want to. Simplicty 1430 view B should take you about 3.5 hours to make. A size 12 used 1yd of fabric. Lovely piece and the color is perfect. Thank you for the heads up . Would also like to add That color and the total outfit are very flattering on you !! Lovely colour on you. I am glad you went with your way – it looks better. I would find the neck band too restraining. Melissa, I love the red on you. I like your hacked neckline better for summer. In a long sleeve the original neckline would maybe look ok.
Oo, I didn’t think about this as a long sleeve. Great idea. It always surprises me that patterns suggest techniques that result in so many layers of fabric at important junctions. Your solution looks good.